At Advanced Dentistry of the East Bay in Hayward, CA, dentist Dr. Gary G. Fong and our entire dental team are dedicated to improving the dental health of our community by providing high-quality care and the information you and your family need to improve or maintain your oral health. Haywrad dentist Dr. Gary Fong offers comprehensive general dentistry services to patients 2 and older, as well as a wide range of restorative and cosmetic dentistry treatments. If you live in the Hayward, San Leandro, Union City or Castro Valley areas and would like to schedule your checkup or cosmetic dentistry consultation, please call 510-582-8727. Everyone at our dental practice is devoted to your satisfaction, comfort and safety. Our patients value our friendly approach, and we treasure the long-term relationships we build with them. Dr. Fong’s level of personal commitment extends to calling patients following major dental procedures to ensure they are well and that applicable medications are working. If you’re seeking a dentist who will provide the experienced dental care you need and the personalized attention you deserve, please contact Advanced Dentistry of the East Bay today. 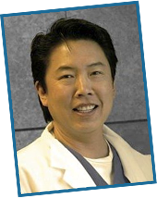 Dr. Fong welcomes patients from the greater Hayward, Castro Valley, San Leandro and Union City, California, areas.